I love The Perl Conference (née YAPC::NA), a humbly scoped annual gathering that — like any good language-in-the-title conference — succeeds at focusing more on the creative community that happens to center around a particular programming language, rather than on that language itself. As I noted here last month, I plan to speak at its June 2017 iteration in DC, and earlier years saw some of my first talks at any technical conference with a venue larger than a pub. After attending ! !Con, though, I find myself increasingly unsatisfied at some of ways that TPC seems to stumble into the same too-typical tech-conference pitfalls every year, ones that nimble ! !Con has found ways around. I think TPC can do better! Let me name the problems I see, and then recommend ways that the older conference can learn a thing or two from the younger one. First of all, I feel more than a little uncomfortable with TPC’s ongoing and overwhelming gender imbalance among its presenters. I know I grumble about it every year on social media, and I know that doesn’t help. Still, after the eye-opener of ! !Con, I find myself unable to shake the feeling that my own continuing participation in an almost exclusively male technical-conference talk schedule makes a bad problem worse. My middle-aged white-guyness wears heavy, when I find myself in a ostensibly open space but nonetheless surrounded mainly by other MAWGs, and I can’t let that go unexamined. We can start with some raw numbers. Looking at the list of this year’s talks, I can separate the speakers into two sub-lists: those who either I know are men or who I can reasonably guess are male, and everyone else (women, non-binary people, and strangers whose gender identity I can’t confidently guess). I’ll also place panels with at least one apparently non-male speaker in the second list. The latter list has seven entries, out of 72 total talks and tutorials, making for a ratio of worse than ten percent. If we count names rather than talks — collapsing all speakers giving more than one session — we improve the number to seven out of 63, so that’s 11 percent at best. And again, this includes all speakers whose gender I can’t comfortably guess from the list plus cursory web-searching, so this number is likely inflated. How does this make me feel? After starting to attend technical conferences with far more gender diversity on display than this, I feel not just embarrassed, but a little bit ripped off. I know that the Perl community — as well as neighboring communities whose members should feel welcome to speak at TPC — contains innumerable women doing work worth sharing in a conference context. And I fear that the conference, with these dismal numbers and no clear attempt to correct them, sends these women a signal that they ought to apply elsewhere. And I, a selfish jerk, don’t get to hear any of their talks, and that makes me grouchy. Beyond that, it feels like a bad look that the principal American conference for Perl, a programming language often dismissed as obsolete, have a speaker list that looks like it would fit better in the previous century. I also know for a fact that TPC can do better, because it has already succeeded in inviting women to to present several personally memorable talks. I’ve written recently about VM Brasseur’s eye-opening presentation about IRC; I could also name Gerda Shank’s 2012 talk on her own HTML::FormHandler, a technology that thereafter transformed my day-to-day consulting work, or Karen Pauley’s 2015 talk about working with volunteers, which helped spark a cascade of ideas that led to my co-founding a nonprofit the following year. Karen was, at the time, president of The Perl Foundation, the organization that oversees The Perl Conference. 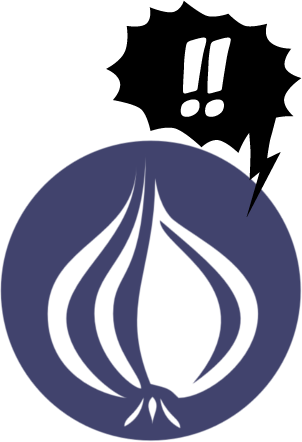 The Perl Foundation also participates in Outreachy, helping mentor women and others underrepresented within open-source software culture, and that’s wonderful — both on its face, and because it suggests that The Perl Conference is part of a governing body that can help it catch up in this regard, someday! The good news is that all this can be fixed, starting as early as next year, if not sooner. I would offer the following advice to The Perl Conference team to consider, in the interest of making future conference iterations not just more welcoming to a wider audience but also attracting a wider array of high-quality talks. Overtly ask the public for more talk pitches from female, queer, and people-of-color presenters, in the same breath as asking for more first-time speakers and such. While I would have found this strange advice only a few years ago, I have seen this time and again from other conferences (and job openings), so much that I dare say it feels like accepted practice now. It could be that TPC already does this where I can’t see; I have only observed their activity from a distance. But looking at its Twitter feed, I see terse and neutral announcements of the opening of its CFP, and then its close, and no particularly obvious efforts to reach out to any group not already comfortable and familiar with TPC. This is one of those cases where just showing effort can make start to an event more attractive to all prospective attendees. Anonymize talk pitches prior to choosing them. This is a technique that ! !Con employs, and I love it. First, one person makes a copy of the full list of pitches, doing all they can to scrub out information identifying anything about the person making the proposal — not just their name but also the names of their projects, their employer, and so on. A group to which the “anonymizer” does not belong then chooses the presentations from this modified list — and if any member still recognizes a particular talk’s source, they recuse themselves from deciding on it. Julia Evans, one of ! !Con’s founders, wrote more about how this worked for ! !Con 2014. I’m told that they’ve developed the techniques a bit more since then, but the principles remain the same. While obviously not an all-encompassing solution, this technique is both relatively straightforward to implement and a far more effective defense against unconscious bias than nothing. Plus, the previous point applies: by just making known its use of this policy when choosing talks, I believe that The Perl Conference would end up receiving more talks on more topics from a more diverse array of potential speakers. Furthermore, this pairs nicely with the previous bullet-point. A transparent anonymized-pitches policy can step in front of any humbug about “reverse discrimination” before it can even start. Institute a formal rule against hecklers. ! !Con spins this a little more positively, calling it their “no back-seat driving rule”, but the principle is the same: good lord, shut up and let the speaker to do the speaking. All of it. Please do react however you’d like in audience-appropriate fashion, but to verbally interrupt the speaker’s flow with shouted and uninvited “jokes”, corrections, questions, or commentary represents a profound act of selfishness, stealing the time and attention of both speaker and audience. Nobody should tolerate this behavior. I would assert that a conference that lets it slide, allowing selfish audience members to tread as they please upon a tightly timed talk without consequence, signals an overall disregard for the value of the speakers’ presence. Conversely, disallowing it advertises a basic (and maybe even pleasantly surprising) level of respect that just about anyone would welcome. I would note that this rule, unlike the others, could go into effect as early as this year, if the conference staff wishes to consider it. Well, that’s my meta-pitch, presented in cowardly place of volunteering to help with the conference in a more direct fashion — something that a colleague asked me to consider, and which sounded real good to me, until friends and family with a more complete view of my already overcrowded schedule dragged me back. This blog post will have to do for now, and I hope it helps it ways other than just getting this off my chest. I remain looking forward to the conference in June, and I hope I’ll have reason to look forward to many Junes thereafter.